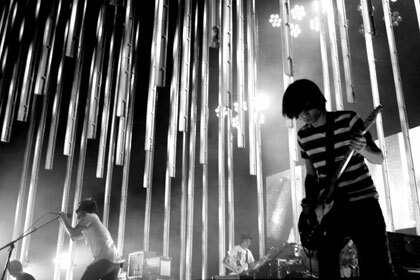 Rollingstone is reporting that Radiohead will be playing two concerts in NYC at the Roseland Ballroom on September 28th and 29th. Tickets go on sale at 10am ET on September 26th for all those in the NYC area. Also don't forget that Radiohead are set to perform on the season premiere of Saturday Night Live this weekend (September 24th) and also while in town they will record a special one hour long episode of the Colbert Report, which the band will be interviewed and play several songs.